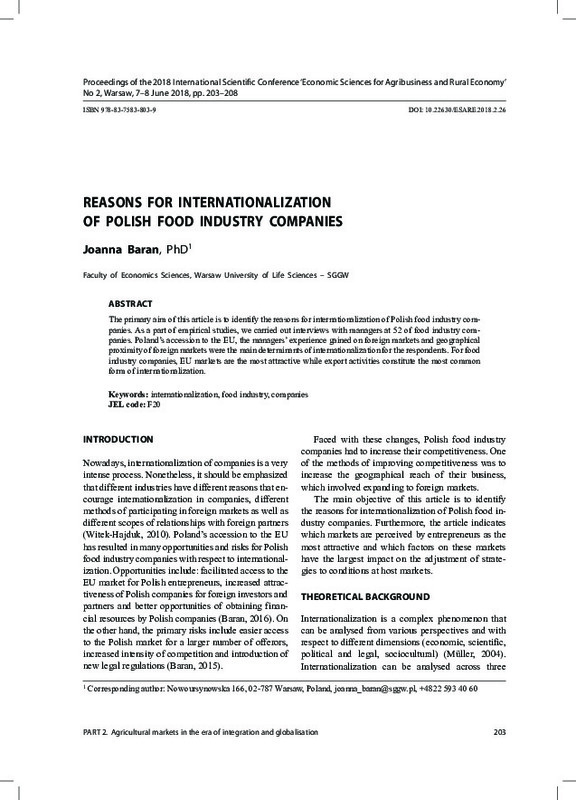 The primary aim of this article is to identify the reasons for internationalization of Polish food industry companies. As a part of empirical studies, we carried out interviews with managers at 52 of food industry companies. Poland’s accession to the EU, the managers’ experience gained on foreign markets and geographical proximity of foreign markets were the main determinants of internationalization for the respondents. For food industry companies, EU markets are the most attractive while export activities constitute the most common form of internationalization.